As the humanitarian crisis in Yemen worsens, the Obama administration seems less concerned about the plight of the desperate Yemeni people than the feelings of the Saudi royals who have spent the last month indiscriminately bombing a nearly defenseless Yemen, using high-tech U.S. jets and bombs to reportedly kill hundreds of civilians and damage its ancient cities. On Friday, the Obama administration took credit for blocking nine Iranian ships from reaching Yemen with relief supplies, claiming that the ships may have carried weapons that the Yemenis could use in their civil war or to defend against Saudi attacks. President Barack Obama had dispatched a U.S. aircraft carrier fleet to the Yemeni coast to enforce an embargo that has helped the Saudis seal off the country from outside help. A person closely involved with the Yemen crisis told me that the Iranian ships carried food and medicine, not weapons, but turned back to avoid the risk and humiliation of being boarded by the U.S. Navy. Meanwhile, Yemen, already one of the poorest countries in the Arab world, is facing shortages of basic supplies since the Saudis have cut off normal trade routes into Yemen. Defense Department officials also acknowledged that they didn’t know what type of cargo was being transported aboard the Iranian ships, the Times reported. Though the Obama administration had touted the possibility that the Iranian ships carried weapons, the decision by Iran to avoid a confrontation may have reflected Tehran’s desire not to worsen relations with the United States and thus disrupt fragile negotiations over international guarantees to ensure that its nuclear program remains peaceful. But the losers in this military/diplomatic maneuvering appear to be the Yemenis who, in effect, face a Saudi strategy of starving the country into submission with the help of the United States. While U.S. Ambassador to the United Nations Samantha Power built her public image as a “humanitarian interventionist” asserting a “responsibility to protect” vulnerable populations, she has said little about the Saudi role in Yemen’s humanitarian crisis. In a statement on April 14, at the height of the Saudi bombing campaign, Power made no mention of the Saudi attacks or the hundreds of civilian dead from Saudi bombs supplied by the United States. She instead focused her denunciations on the Houthi rebels and former Yemeni President Ali Abdullah Saleh who have joined forces in a civil war that ousted sitting President Abd Rabbuh Mansur Hadi, who then fled to Saudi Arabia. Though the Saudi air force has bombed a number of cities including the ancient port city of Aden, Power ignored those attacks in her statement. But Power was not alone in her solicitousness toward the Saudis. On Friday, Secretary of State John Kerry even endorsed the Saudi bombing of Houthi targets in Yemen. The Houthis adhere to the Zaydi sect, an offshoot of Shiite Islam but one that is considered relatively close to Sunni Islam and that peacefully co-existed with Sunni Islam for centuries. But the Houthis have been resisting what they regard as government persecution in recent decades. As revealed in leaked U.S. government cables and documented by Human Rights Watch, Yemen’s government used U.S. military aid to support an all-out assault against the Houthis in 2009. HRW said Yemeni government forces indiscriminately shelled and bombed civilian areas, causing significant civilian casualties and violating the laws of war. This repression of the Houthis led to an escalation last fall which ended with the Houthi rebels, who allied themselves with army forces loyal to ex-President Saleh, capturing Sanaa and other major cities. After these victories, in private contacts with American officials, the Houthis indicated their readiness to take the fight to Al-Qaeda’s Yemeni affiliate. However, since the Saudi airstrikes began a month ago, “Al-Qaeda in the Arabian Peninsula” has taken advantage of the limitations on Houthi rebel movements by grabbing more territory in the east and overrunning a prison that held a number of Al-Qaeda militants. The Saudi royals have a complicated relationship with Al-Qaeda including some princes who are viewed as important financiers of the terror group. The Saudis also promote the same extremist interpretation of Sunni Islam, known as Wahhabism. Now, instead of concentrating on the terror threat from Al-Qaeda, the Saudis have sought to portray the Yemeni civil war as a proxy assault in Saudi Arabia’s backyard by Shiite-ruled Iran. In that propaganda effort, the Saudis have been helped by Israeli Prime Minister Benjamin Netanyahu who has relied on the powerful Israel Lobby and his own rhetoric to divert the U.S. Congress from a focus on Al-Qaeda and its hyper-brutal spinoff, the Islamic State, to Iran, which both Saudi Arabia and Israel have designated their primary regional enemy. In his March 3 speech to a joint session of Congress, Netanyahu cited Yemen as one of the Mideast countries that Iran has been “gobbling up.” Many regional experts, however, considered Netanyahu’s assertion ludicrous given the Houthis’ reputation for stubborn independence. 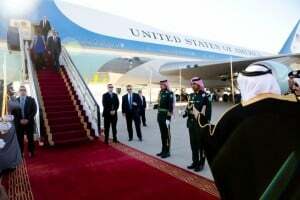 But the Obama administration remains sensitive to Israeli-Saudi criticism of its efforts to negotiate a peaceful settlement of the Iranian nuclear dispute. So, to demonstrate that the Americans are comforting the Saudi royals with “an arm around their shoulders,” the U.S. government is embracing the Saudi bombardment of a largely defenseless country and is turning back ships carrying relief supplies. Investigative reporter Robert Parry broke many of the Iran-Contra stories for The Associated Press and Newsweek in the 1980s. You can buy his latest book, America’s Stolen Narrative, either in print here or as an e-book (from Amazon andbarnesandnoble.com). You also can order Robert Parry’s trilogy on the Bush Family and its connections to various right-wing operatives for only $34. The trilogy includes America’s Stolen Narrative. For details on this offer, click here.